Through this partnership, Avida organized a toy collection drive from its communities and employees last November 5 at the first ever Avida Grand Neighbor Day. The collected toys from this toy donation drive will be given to less fortunate children to bring in the Christmas cheer. Avida will also assist Jollibee in its Jollibee Maaga Ang Paska Clean Up Caravan from November to December this year. This is the first time that Jollibee as partnered with Avida for their annual donation drive and hoping that it won't be the last. 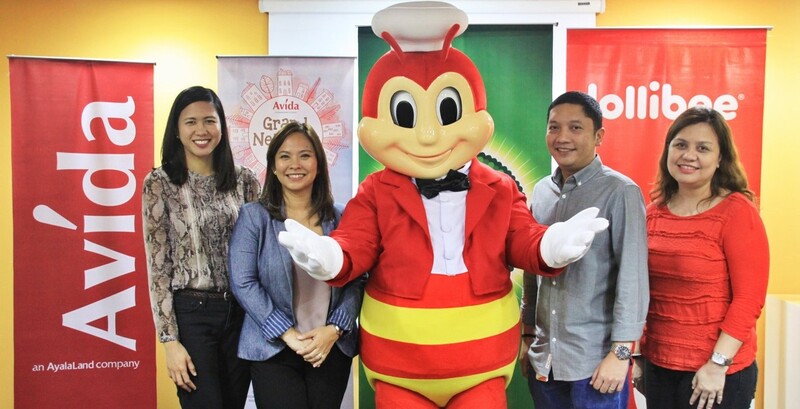 Shown from the left are the following executives during the agreement signing: Avida Marketing Manager Anne Baylon-Jara, Avida Marketing Head Tess Tatco, Jollibee Philippines Brand Communications & PR Director Arline Adeva, and Jollibee Philippines PR Manager Dennis Reyes.